The TC7660 device is a pin-compatible replacement for the industry standard 7660 charge pump voltage converter. 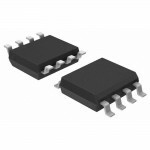 It converts a +1.5V to +10V input to a corresponding -1.5V to -10V output using only two low-cost capacitors, eliminating inductors and their associated cost, size and electromagnetic interference (EMI). The on-board oscillator operates at a nominal frequency of 10 kHz. Operation below 10 kHz (for lower supply current applications) is possible by connecting an external capacitor from OSC to ground. 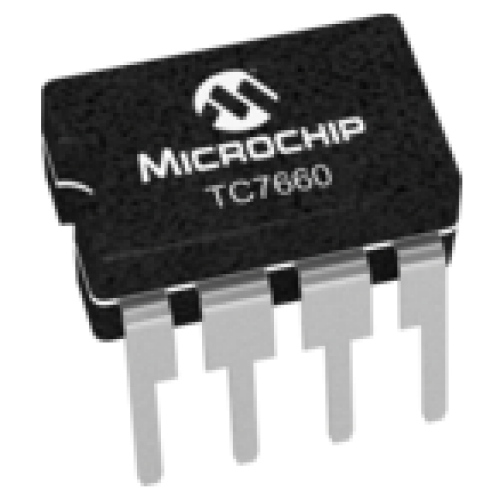 TC7662 Charge Pump DC-to-DC ConverterTC7662A is a pin-compatible upgrade to the industry standard TC..
TC7662B SMD ICTC7662 BOEA Charge Pump DC to DC Voltage ConverterThe TC7662B is a pin-compatible upgr..